The cold of winter certainly settled into Michigan right after Thanksgiving. 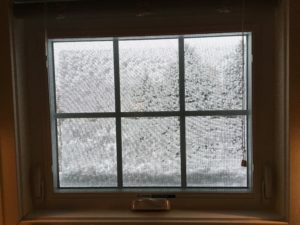 We woke up Monday to a blanket of white glistening snow all around. 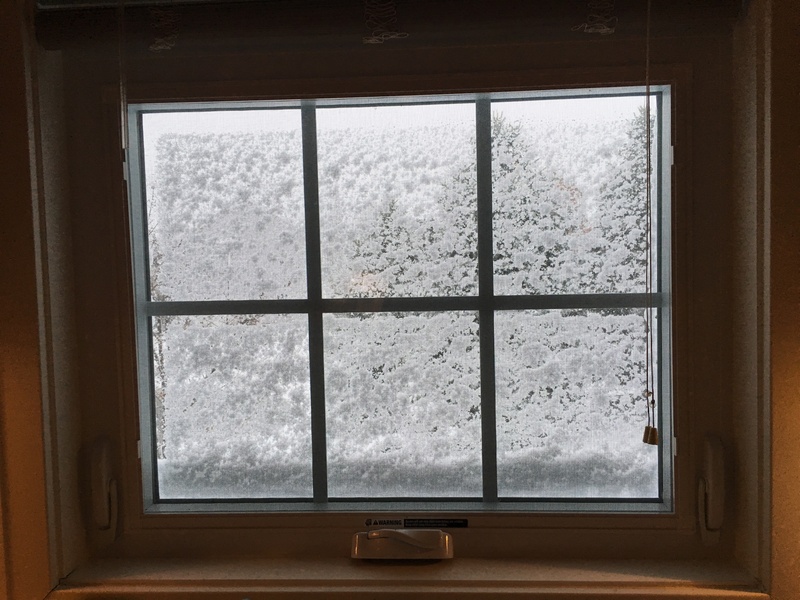 From the view inside my window, I could stay warm and cozy in my house. We are so blessed, and I always send a silent prayer of gratitude. I offer a blessing of prayer and healing to those that might be very cold on a day like today and not have a cozy home to keep them warm. Our lives can be a mirror to this whole thought of weather outside and “weather” inside our bodies. This same cozy warmth is what I FEEL when I reflect on the pure “oneness” of us all and remember with such clarity the warming glow of love that poured into me from God during my NDE. We can all take comfort knowing He is right there inside of us at every moment providing warmth, love and healing. When there is a chill due to weather, circumstances, or emotional distress we can all feel it even though we may not recognize where it is coming from. I can usually “feel” it in the form of a tinge of sadness on a gray and cloudy day, when in fact I’m feeling blessed, whole, and happy. But my outside world is not always happy. Do we allow ourselves to be wrapped up in the warmth of God? We are an expression of God in physical form, yet our physical image here in this world is a body left to function as best as we can figure out. Society has been teaching us since we were little that medicine is our only hope for health. But, God is not in a physical body. As much as our mind tries to “envision” this incredibly powerful being of LIGHT and energy, we cannot. Instead we tend to visualize God as a fatherly male figure. So where and how does God come into maintaining health? God created our bodies along with the entire universe. We were given an incredible body, and we are so much more powerful than most people realize! Experiencing God Through Healing, our title today… let’s chew on that idea. The message, “We CAN heal ourselves”, came back with me from my NDE. I have now heard the same thing from more and more people around the world. Is it possible that originally our bodies were created by God to experience the incredible power of LIGHT as we “reconnect” with HIM through Spirit, keeping us whole and in health? But now, our world is operating on the assumption that we are “separate” from God, He’s out THERE somewhere. Since we are expressions of God, it makes sense when we realize that our body heals naturally when we we are able to let the process happen. Miracles and healings abound, but we again think that somehow, only THAT person was blessed by God and “given” the gift of healing. Relying on medical science to help us is totally awesome, but are we missing something? I believe the answer is yes. We are missing something that is right in front of us! As spirit and human in a body, have we forgotten our physical link to God? Is it possible that the evolution of our bodies over time has weakened the connection? I believe God is sending messages trying to help the world regain it’s health and vitality! Goodness knows we need to be stronger as human beings to help solve some very difficult issues that affect our whole planet. Maybe we need to grab on to some new thoughts to add to our arsenal of established medicine! Our health as a planet is deteriorating, not getting better. Why is that with all that modern medicine has to offer? Science is discovering GOD through studies in Quantum Physics. But no one wants to use that term, so instead they call it the Life Force, and many other names. This Life Force or God is Light and Energy. Our bodies are linked into this energy field, which in turn, is linked to our entire Universe. It is incredible! We link through the energy centers in and around our bodies. Those of us seeking answers, and those who have direct experiences with God, angels or spirits, or miracle healings, just run out of words to “describe” this incredible being I’m happy to call God! Jesus gave us a lot of information about our healing abilities. Now, more and more people are experiencing God through the Spirit world, and talking about it! So many of NDEers have incredible healing stories. We were “reconnected with LIGHT.” Is it possible that we can manipulate the energy centers in our body to “activate” or “reconnect” strands of broken DNA that have been malfunctioning in some way causing disease? 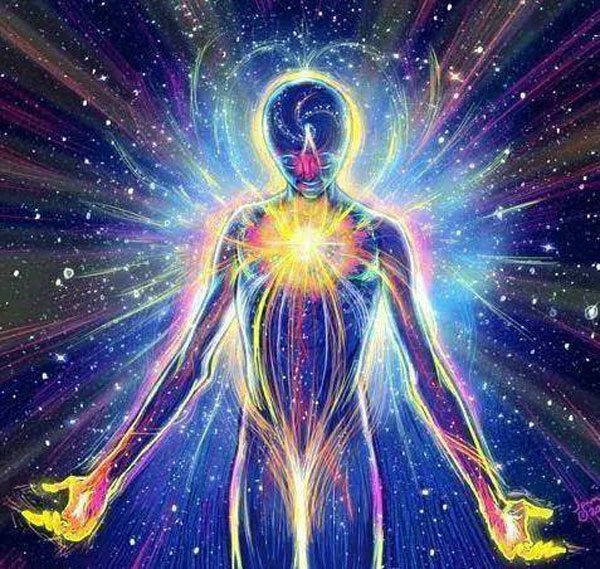 Can we bring our bodies into the frequencies of LIGHT to connect with God and bring healing. There are some incredible stories…and you will hear some of them soon. The Reconnection training for this past year is helping me put the learning and knowledge I learned during my NDE into a framework that is accessible to each and every one of us! It makes sense. It has come to me at a time when I have been ASKING God every day how to make healing practical for people. Dr. Pearl, Jillian Fleer, and now thousands of Practitioners and Teaching Assistants all around the world, have discovered a new energy healing that scientists and medical professionals have been studying through Reconnective Healing for over 20 years. We know the term “hands on healer”. A lot of you have heard of Reiki Healing. It is similar, but different. Reconnective Healing is actually done without hands touching the person. Notice the bright yellow “energy” shown in the hands and the heart of the human body? I’ve been able to feel energy in my body for so many years I took it for granted others could do this too. You can develop abilities in you…it is OPEN to all of us! I feel that swirling of energy when I get myself into deep meditation. I realized I can do this when I do a healing! I am connecting the incredible energy from my heart, re-connecting to the Source (God), and connecting with the light and love of the person on the table who also has a direct connection to God. Combining our energies is incredible. I am able to move into a higher frequency to allow the energy in my hands to help MOVE energy in a body. I am a conduit, not the healer, God is! The body and God KNOWS where the healing needs to go, I am the observer, the link, the help to let the body and God work together. Healing happens in whatever way is appropriate for the person who has chosen to lay on my table. Both of us are the receivers! I cannot predict or prescribe where this healing will go! The scientific research shows astounding results as they studied Reconnective Healing. 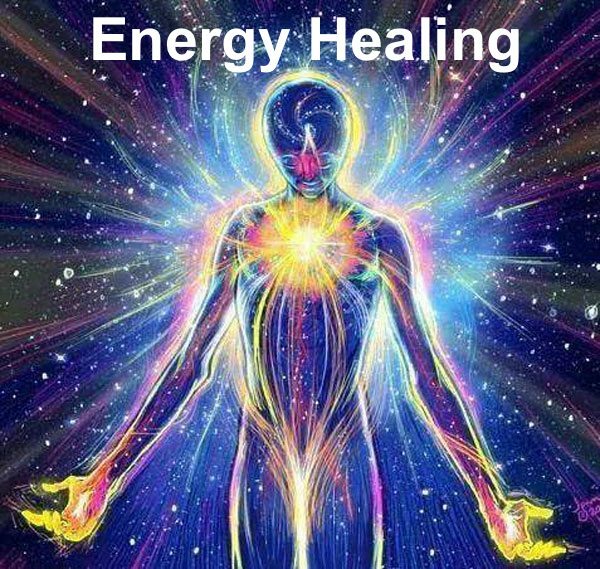 It’s a new form of energy healing. I’m hoping to help you “SEE” some possibilities that you might have. It has always been right here for us, but we weren’t SEEING it. I loved the way Anita Moorjani explains our inability to really SEE what is right around us. (In our book we briefly shared her story of her NDE told in Dying to Be Me). 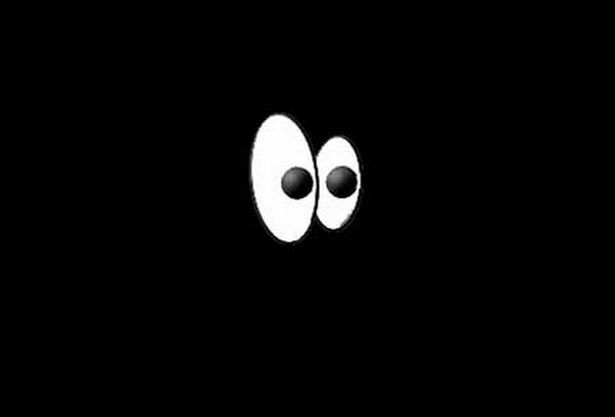 Think of yourself walking through a totally dark room with a flashlight. You see well RIGHT where you shine the light. It doesn’t mean that there is not anything else in the room, you just weren’t seeing it because you didn’t shine the light there. WHAT is Reconnective Healing? Why has it gotten you so excited? Watch for my blogs from the Light GAP coming on these dates! 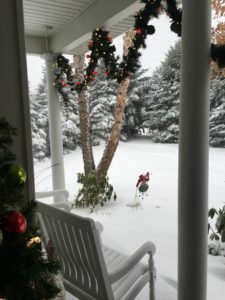 December 7 – The Science behind Reconnective Healing. Two kinds of healing. The Personal Reconnection is a one time experience. How can it help me? December 14 – Understanding the energy field with new eyes on HEALING energy. December 21 What is it that happens during a Reconnective Healing Session? Sharing stories of Healing. What happens during a Personal Reconnection?